Pretty soon, only lawyers are going to be able to follow the Ezekiel Elliott suspension appeal process, which took another turn late Thursday night. Ezekiel Elliott and the NFLPA made it clear right from the start that they thought the NFL overreached by suspending the Dallas Cowboys running back for six games. And even though the appeals process for that suspension is now complete, they aren’t waiting for the ruling to take further action. Pro Football Talk reports that Elliott has filed a lawsuit challenging the appeals process, asking for his six-game suspension to be vacated even if arbitrator Harold Henderson decides to uphold some or all of it. PFT’s Mike Florio notes that Elliott was likely motivated by what happened in the Tom Brady appeal in 2015, where the league filed suit first in federal court. As numerous media outlets reported earlier, the NFLPA believes that Elliott has a strong court case regarding the suspension because of several irregularities in the way the conduct leading to his discipline was conducted. Chief among these was the potential bombshell this week that the NFL’s director of investigations suggested Elliott should not be suspended at all and then found herself excluded from the committee that recommended a suspension to NFL commissioner Roger Goodell. The first battle will entail an effort to delay any suspension until the litigation has concluded. 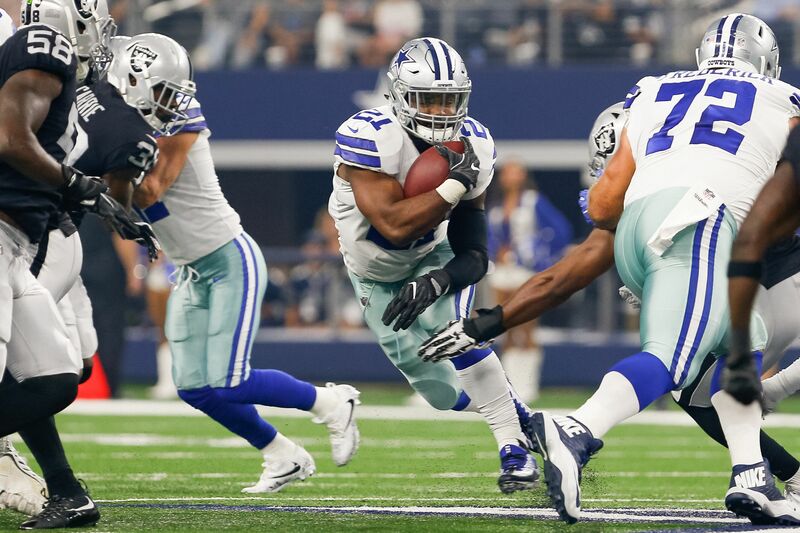 The goal will be to get a ruling on that effort as soon as possible, so that Elliott will be able to practice next week and play in Week One, and beyond. That means just about any outcome is still in play: Elliott could serve all, part or none of his original suspension, and if he sits out games, they might not necessarily be the ones that start the Cowboys’ season. Calling it a situation that is still fluid is an understatement, and you may want to consult the lawyer in your life for explanations on what’s going to happen next.